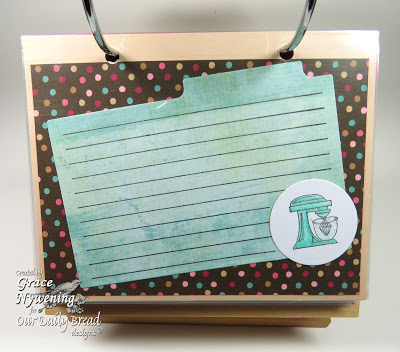 Th-INK-ing of You: Mar 1 Release Blog Hop!!! Hello friends! 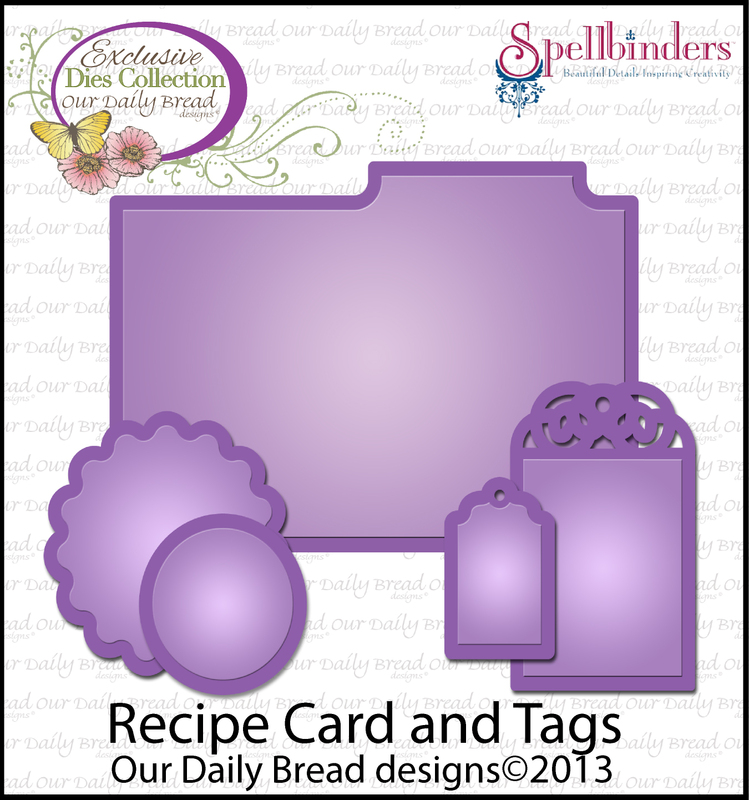 Welcome to the Our Daily Bread designs Mar 1 Release Blog Hop! The Bread Sticks are jumping for joy in the bread basket this month!!! There's lot's of other goodies being baked up and wow are they yummy!!! If you got here from our sweet and creative Chris, you are in the right place! If not, you might want to return to the ODBD Blog so you don't miss a thing! Now on to the details of my project.... I apologize that there are a lot of photos today, but I altered a photo flip album to be an album of special family recipes. 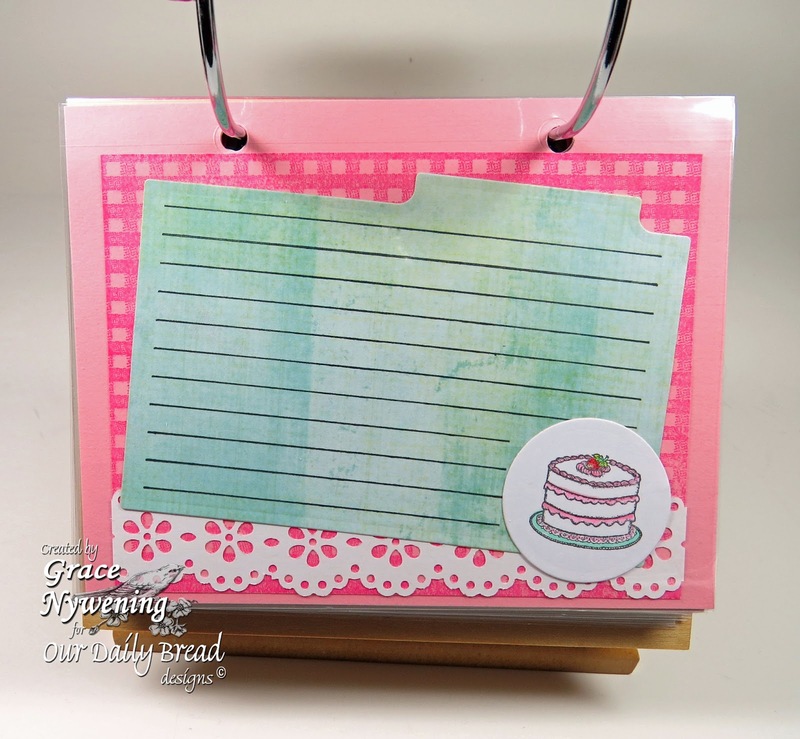 I thought this would be perfect for that bride who would love to have those special recipes she grew up loving, or perhaps recipes from her Mother in Law that are special to her new husband. There are lots of possibilities here... so lets get started! Pretty wood, but definitely in need of a make over! I removed the star, and added paper and bling! I'll simply show you the pages I created and slid in to the plastic sleeves, and at the end I'll give you a list of materials. 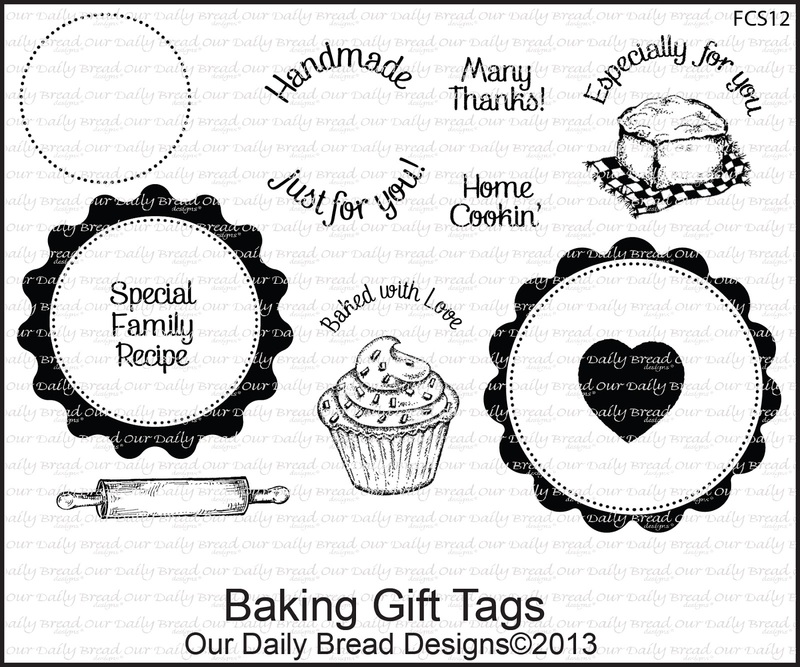 You could really save money and buy the Baking Bundle ! Thanks so much for stopping by to see my project! I know you want to get to the next stop... so I'll send you on to the ever so talented Julie to be amazed! 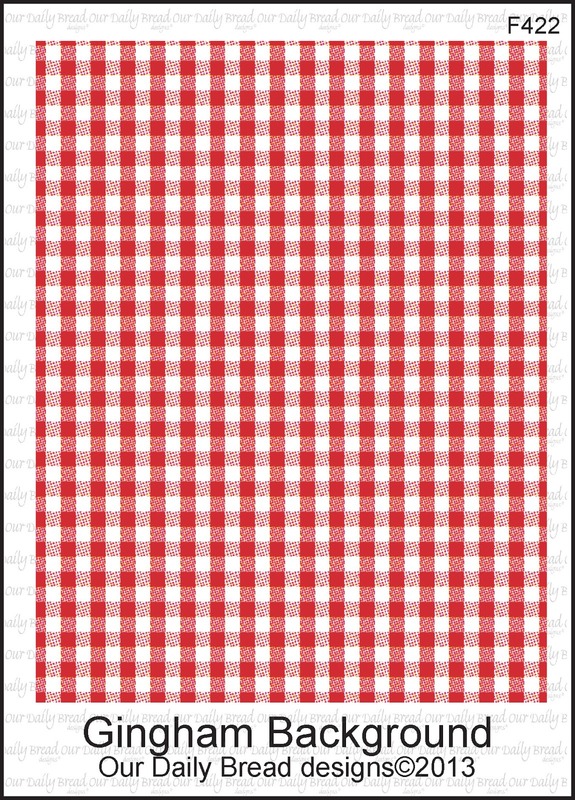 I need this to store my recipes, my book has so many loose sheets in it. This is a wonderful idea and looks adorable! 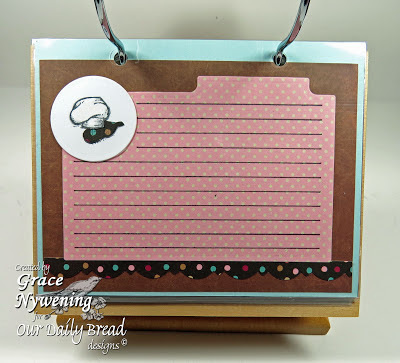 What a gorgeous and creative project Grace!! 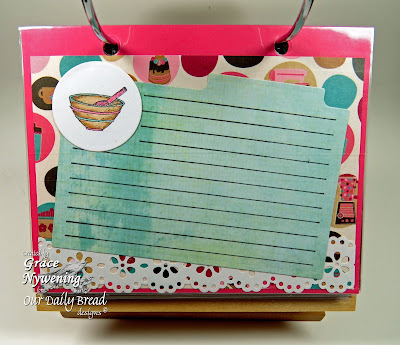 I just love how you altered the frame and made it hold recipes!! Very Clever and gorgeous!! Your coloring, colors and design is stunning!! Grace, you have overdone yourself!!! 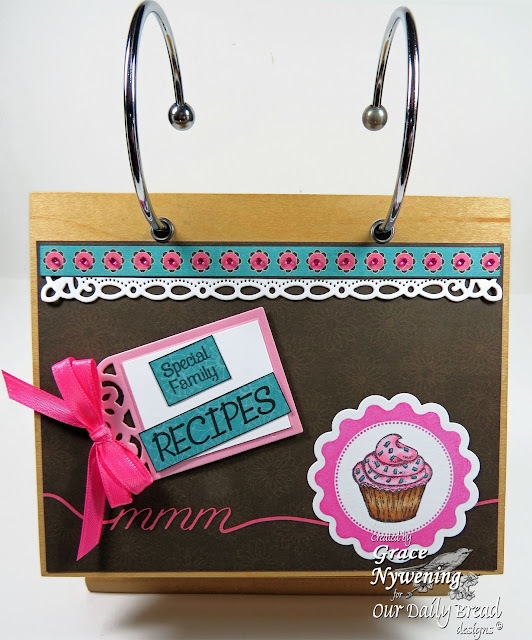 Such a creative and adorable recipe book! I bet it took days to decorate! You ROCK, my friend!! Mwaaah!! Over-the-top awesome, Grace!!! I love this idea!!! What a great gift this would make for the cooks we know. Great!! Grace this is fantastic!!! 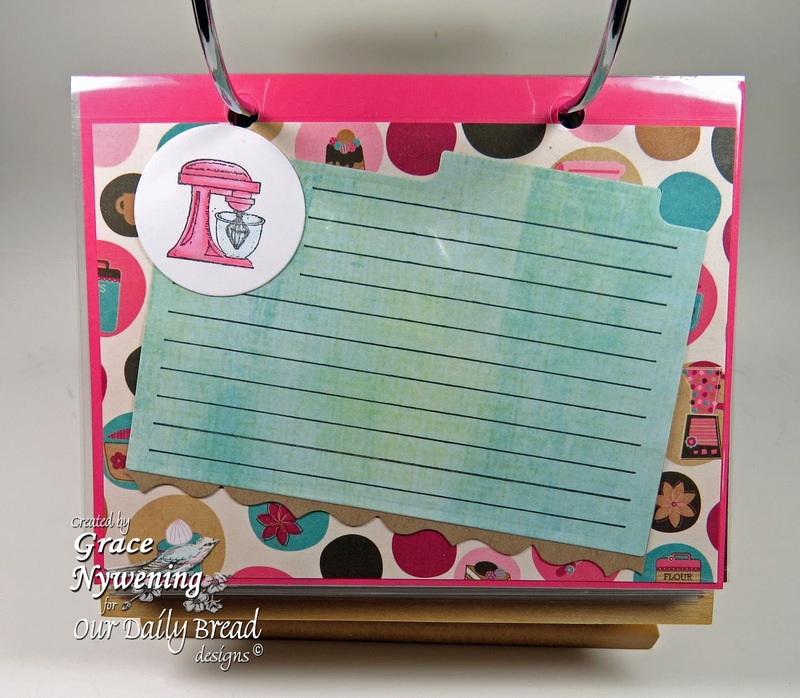 What a fabulous makeover and how special to have a family recipe holder!!! Love it! Just love this clever altered project, Grace! 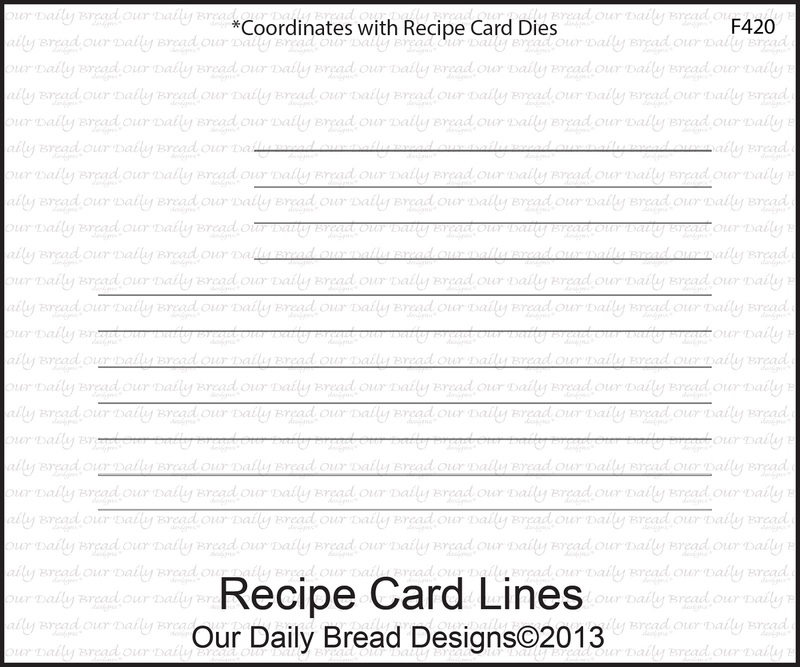 Each page is a work of heart and perfect for your favorite family recipes! You've inspired me to make something similar...my recipes are in desperate need of organization! Hugs! What a perfect and thoughtful gift! And so functional too - perfect to sit on the counter instead of just lying loose and being lost amongst all the measuring utensils and bowsl - not that it's happened to me before! :) Each page is a gift that keeps on giving! What a fabulous project Grace. I love these new dies. Love your ideas! I so needed this is a family cookbook. Thank you! 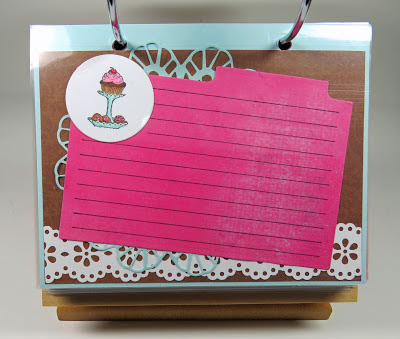 Fantastic project...love all the colors & papers used! Any bride would love it! beautiful recipe holder...love the designs. Love your project. Someone will really treasure this in years to come. This is awsome. I solove this months release. I like how how you made something old into something new. 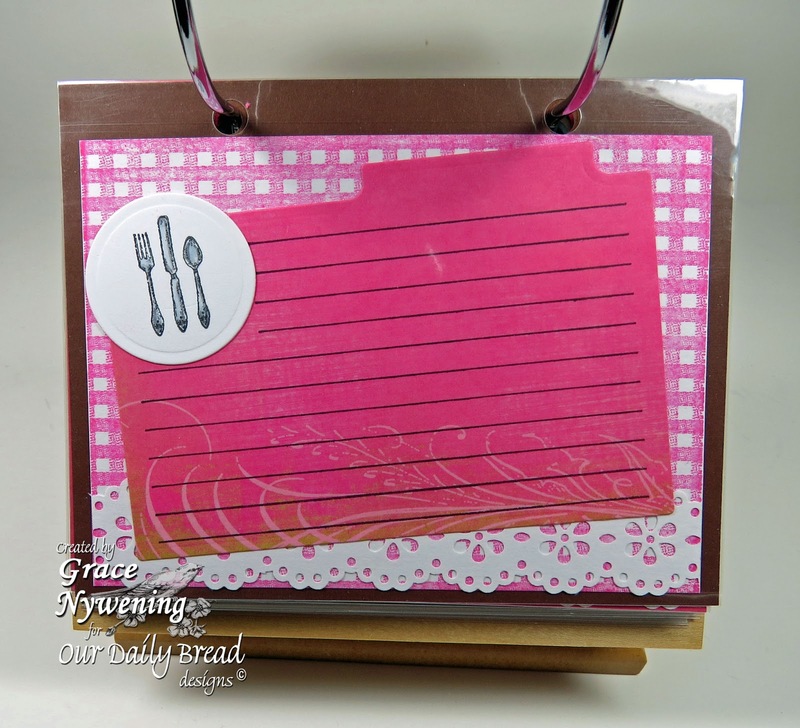 What a wonderful standing recipe book, Grace! And so pretty to look at as well as functional. I love makeover projects and yours is fabulous! 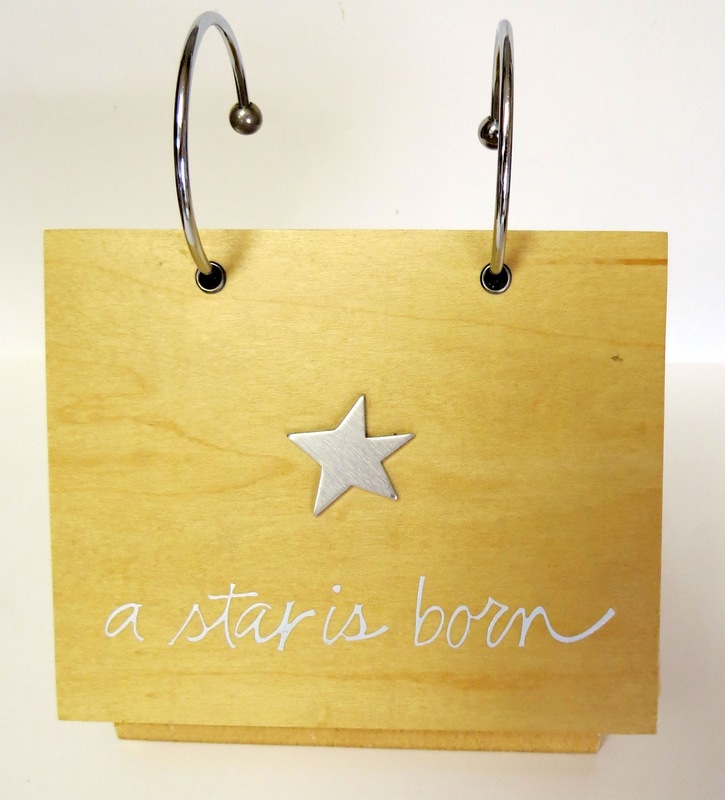 What a clever makeover for your wooden stand! Really, REALLY nice! What a cute way of keeping recipes. Very nice. Grace, how cool is that. Recipes will be treasures foreve with that. How very, very cool! God bless you! Wonderful idea especially for the ladies in our Cool Treats gang. 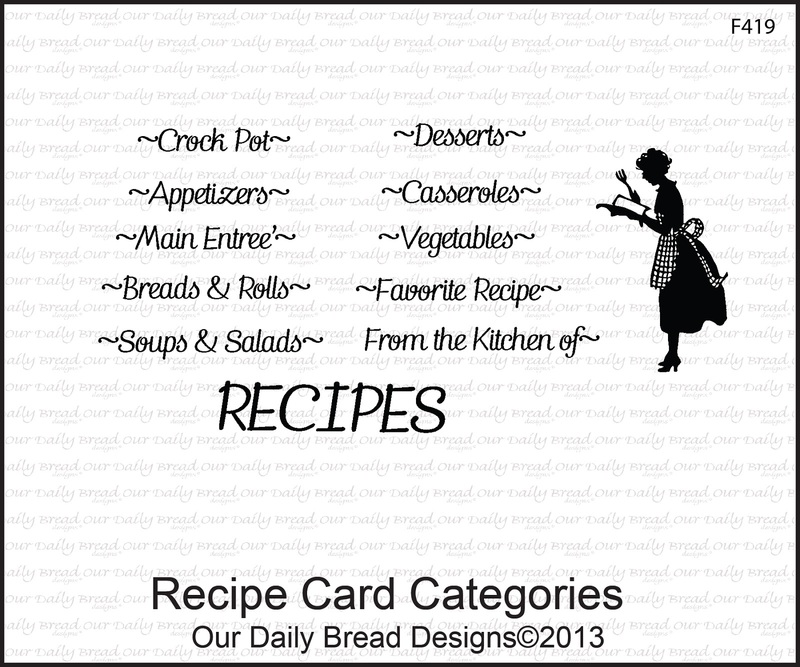 I know they will love the dressed up recipes cards. great ideas--you sure know how to dress up wood! Love this project, a great way to enjoy our love of paper crafts and make it useful also. Oh Grace, this is such a wonderful project! What a great idea for a shower gift for a bride! Love the creativity!! what a fun and creative project. Clever repurposing idea! This would be incredibly handy on a countertop! 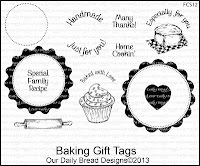 Super Awesome Idea love the Recipe card so much better then the store and with so much love in making them Love the stamps they are super cute. thanks for sharing. 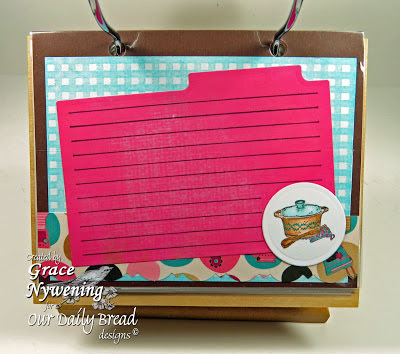 Love the recipe holder. Great Job!!! What a great gift! I would love to have one of these in my kitchen with our family favorites! Fun, fun, fun. 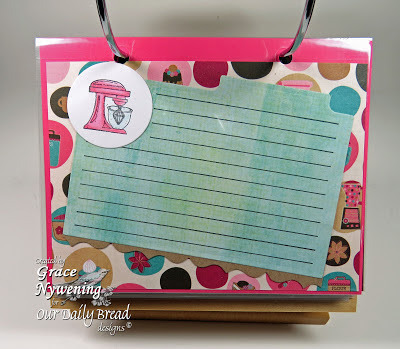 What an excellent way to rework a recipe stand. Love it. I so enjoy giving recipes as wedding shower gifts, and they seem to be enjoyed by the recipients, too. The flip book is gorgeous! Would love to use the new sets to "dress up" a recipe collection! What a fantastic gift this is!!! Absolutely love it!! What a wonderful makeover!! 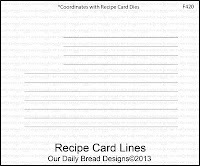 Your recipe book is awesome! What a lovely gift idea! TFS God bless!! 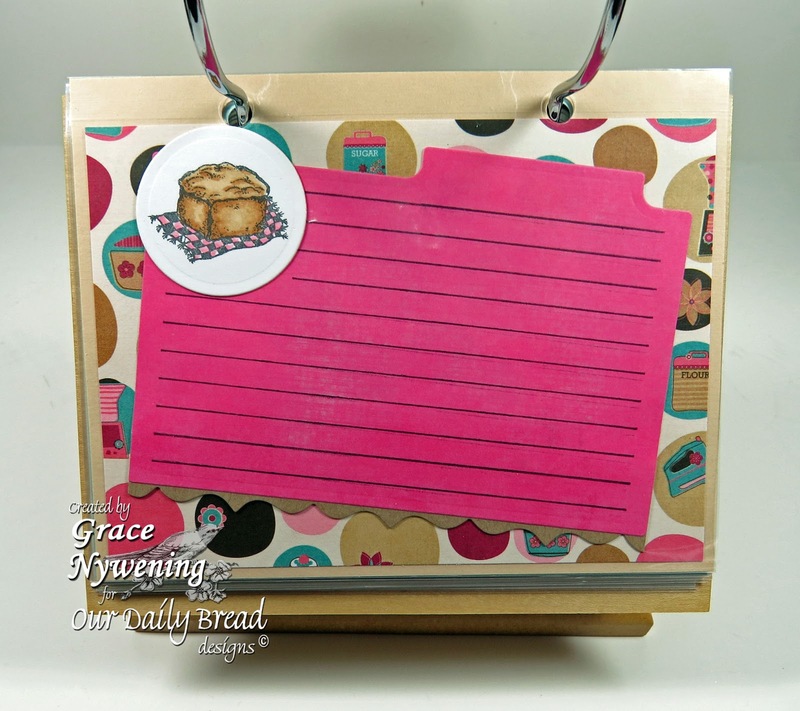 Oh Grace...how Awesome and so much fun...I love your recipe card holder, and all the sections etc.!! What a fun - and useful - gift. Great for a young person going out on their own - or a shower gift! What a novel idea! I have one of those albums that looks a bit worn and this gives me the inspiration to redo it! What a fabulous idea! 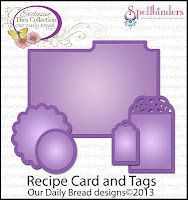 This would definitely be such a special gift for someone with all the favorite recipes. what a clever idea!! !so pretty!! great project! Love what you did with the flip album. Oh, I love remakes of items like that! I save EVERYTHING just in case I get a chance to use it! Great, great job on this! What a fabulous little baking binder! How fun and useful too!! Love the sweetness of it all!! 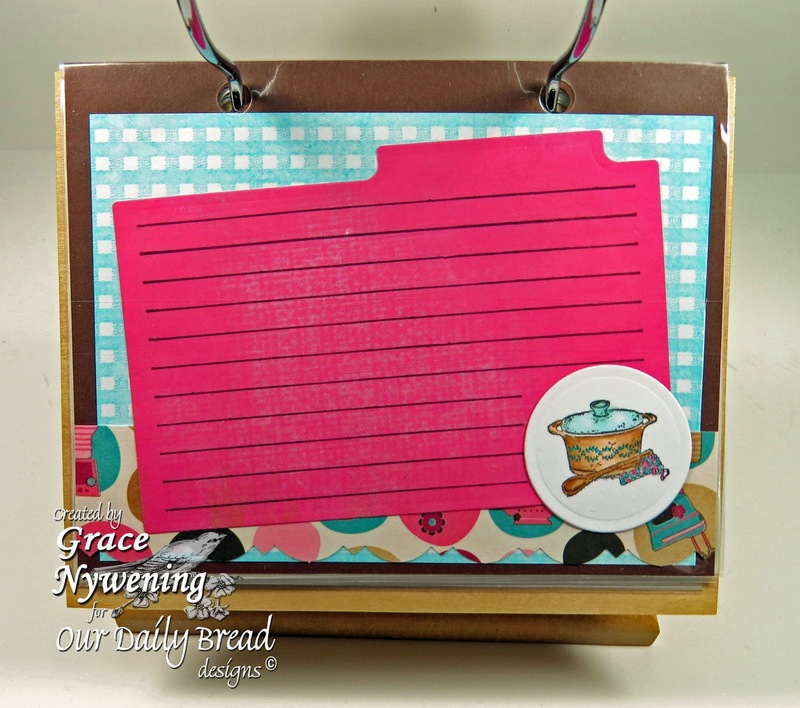 What a beautiful recipe holder!! Would made an awesome gift. What a terrific idea!! Just inspired! And you did such a beautiful job with all the coordinating paper and stamps. great idea, and so pretty!! 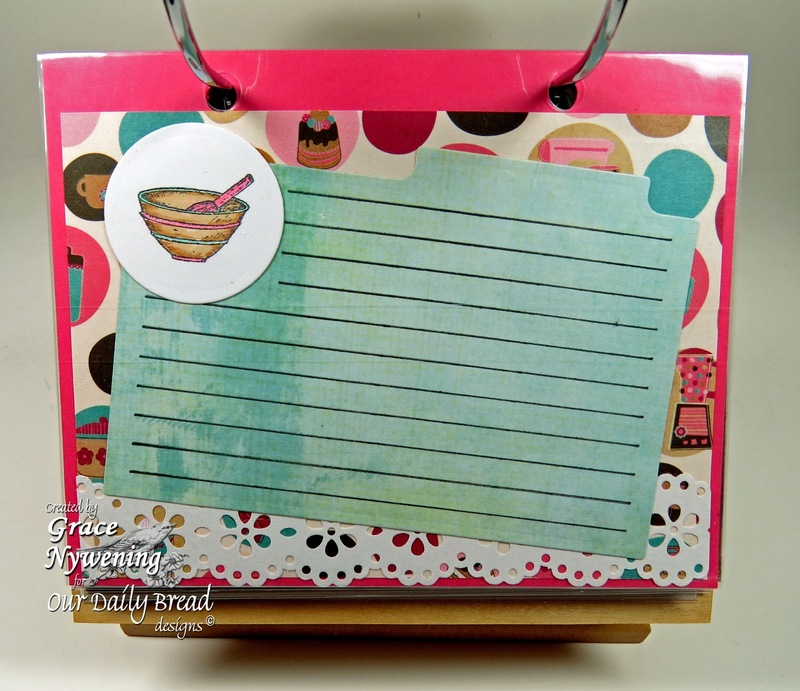 Your recipe flip file is Awesome! Love all the pretty colors & papers! Ok - i just love what you did to transform that photo album into an awesome recipe keepsake! Thank you for sharing! What a great idea! 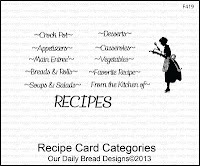 I have recipes from my mom and grandmother that would be a great gift for my daughter, my nieces, and even some cousins. As they say, the possibilities are endless. Thanks! Your project is fantastic! A new bride would love to get this as a gift! Aa-awww! I want that! (JK!) Awesome idea and great gift, for anyone! TFS! Lovely gift idea. sharing to keep. this is such an awesome inspiration. I love how you repurposed the photo holder. Oh, Grace! What a fantastic job!!! what a great idea!